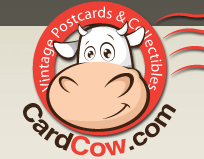 On Sunday, May 2, 1937, Wisconsin Power Cooperative was organized by an assembly of farmers for the purpose of developing a generating and transmission facility to provide low-cost electric service for the rural areas of Buffalo, Chippewa, Clark, Dunn, Pierce, St. Croix, Taylor, and Trempealeau counties. Loans from the Rural Electrification Administration financed construction of the original station and transmission lines. 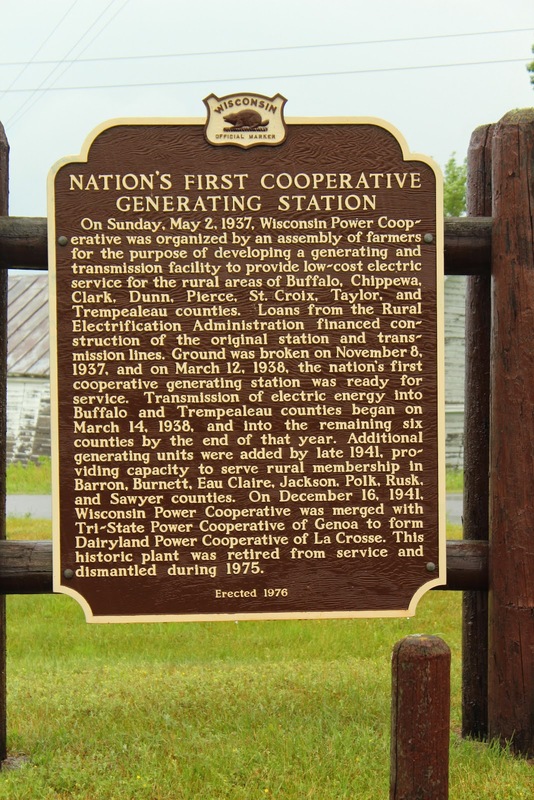 Ground was broken on November 8, 1937, and on March 12, 1938, the nation's first cooperative generating station was ready for service. 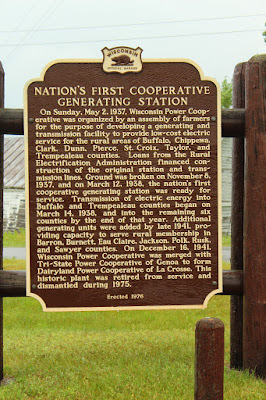 Transmission of electric energy into Buffalo and Trempealeau counties began on March 14, 1938, and into the remaining six counties by the end of that year. Additional generating units were added by late 1941, providing capacity to serve rural membership in Barron, Burnett, Eau Claire, Jackson, Polk, Rusk, and Sawyer counties. On December 16, 1941, Wisconsin Power Cooperative was merged with Tri-State Power Cooperative of Genoa to form Dairyland Power Cooperative of La Crosse. This historic plant was retired from service and dismantled in 1975. 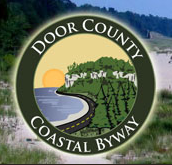 The marker is located at a pull-off on 140th Street / REA Road, north its intersection with 112th Avenue / Woodruff Avenue, three miles north of Chippewa Falls, Wisconsin 54729.